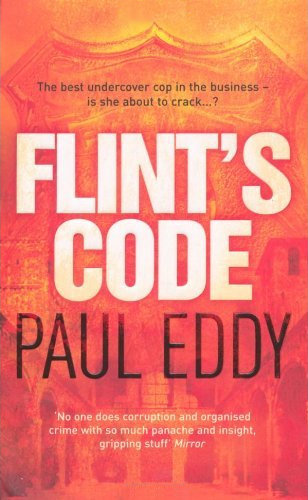 Grace Flint is a policewoman, not a spy. At least, she is not a spy initially. As the series begins, her specialty, and what made her so successful in the department handling Major Crimes, was her ability to go undercover and truly become whatever her role was. She could blend in with the best, pushing her true feelings so deep that even she had a hard time finding the truth. Then a case went horribly bad through no fault of hers and her supervising partner was killed and she felt her face be pummeled relentlessly, leaving her horribly disfigured. Months of painful reconstructive surgery were necessary to restore her to her original beauty and the skillful surgeons did just that. But restoring her confidence would take longer. To help her return to active duty, she was transferred to a liaison positon in America working with many of their varying agencies: FBI, ATF, IRS, Secret Service, and some with other initials. In this capacity, she finds her work has changed from being a policeman to being more of a secret agent as the cases take on an international aspect. Flint is a hard woman who doesn't really want to be. Life has not been kind to her, though, and she has to fight to survive. Luckily, she is good at fighting. But when the one you are fighting turns out to be the one you loved and thought loved you, it's hard to pick yourself up and go on. Flint is able to do so. But just as it seems that maybe the Fates are taking a bit of pity on her and letting up some, her career becomes even more demanding. Out for revenge for her injuries, Grace Flint has only a small clue to follow but through her tenacity, she slowly learns more and it reveals an incredible plot. Murder, blackmail, extortion on a scale that few would have imagined was revealed but as she went after her attacker, she finds he is again after her. Working a major international money laundering case, Grace Flint's life seems about to repeat itself when her partner is killed. This time, however, her body is untouched but her reputation is dealt a serious blow as doubts are cast as to her ability and possible trustworthiness. 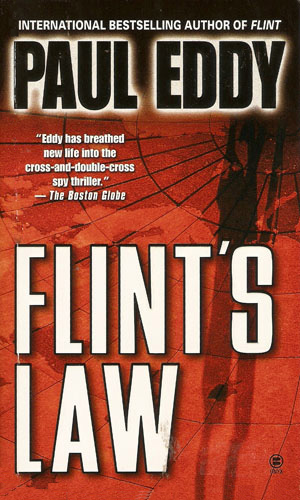 A murderous East European money-launderer is one of the FBI's most wanted and the target for the task force Flint is on. She is assigned to go undercover with that man's organization but that would mean possibly putting her young son in jeopardy. Still, her desire for revenge is high. I tried to read the first book once and stopped after a few pages. I don't care for present-tense writing and that was how the book seemed. I'd go back to it "sometime". That was my mistake. I should have hung on for a few pages more as the style changed and the story really grabbed me when I was smart enough and luckily enough to give it another try. And darned if Grace Flint didn't capture my imagination. This is one heckuva lady to have at your back or on your heels. 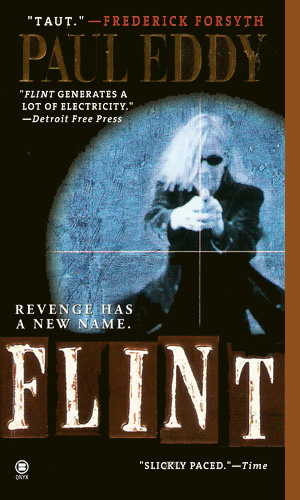 I so wish he had written more flint books.